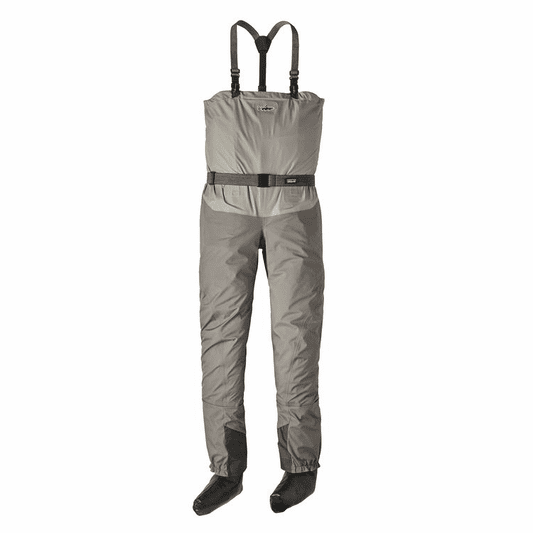 The Patagonia Middle Fork Packable Waders are the ultimate traveling wader. 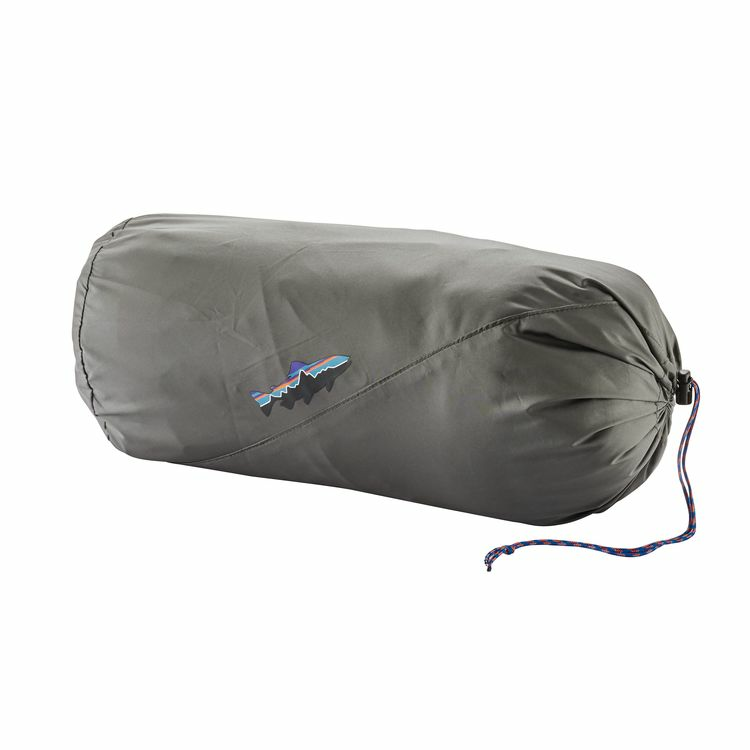 With the ability to roll into their own compact 8" x 13" stuffsack, this is the perfect product for the angler abroad. Say hello to the lightest, most-packable, and most technologically advanced waders ever produced by Patagonia. They are built from lightweight and durable waterproof/breathable fabric and feature new seamless booties. 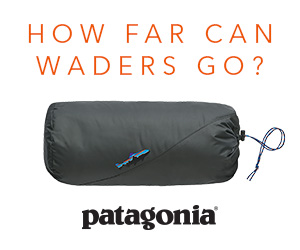 The waterproof/breathable fabric utilizes Patagonia's H2NO technology with a Durable Water Repellent (DWR) finish. The upper body is constructed with 3-layer nylon, while the seat and legs consist of a 4-layer 100% polyester design. Single-seam construction further increases the durability and allows for immense mobility in the crotch and legs. The streamlined design is from top to bottom, with the seamless, synthetic rubber booties (hypoallergenic materials) providing no bulk when packing. The strong and stretchy seamless booties are durable due to elimination of high-wear points (seams). 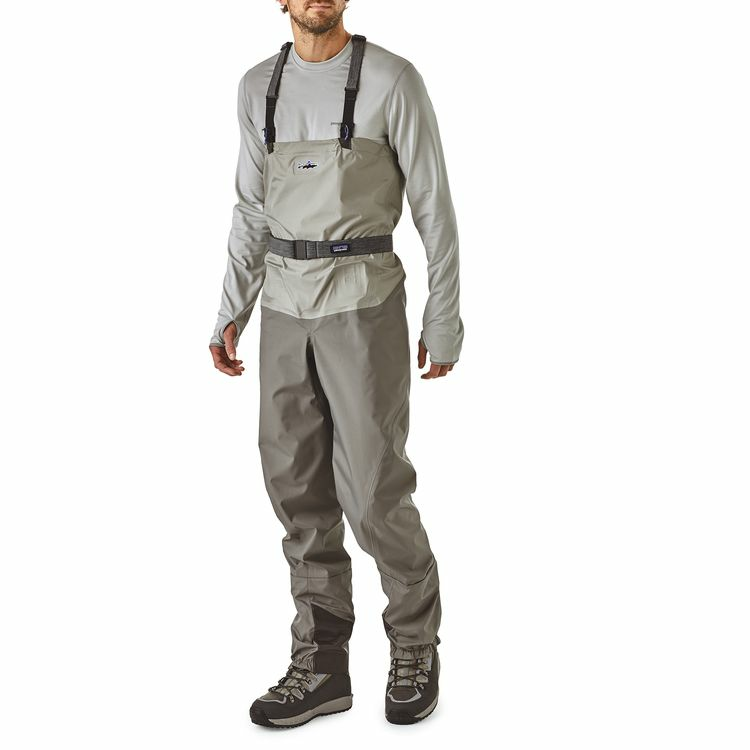 These waders are optimized for travel, but don't let their lightweight nature fool you. These are durable enough to battle the backcountry across the globe, and hold up against the most adverse of conditions. 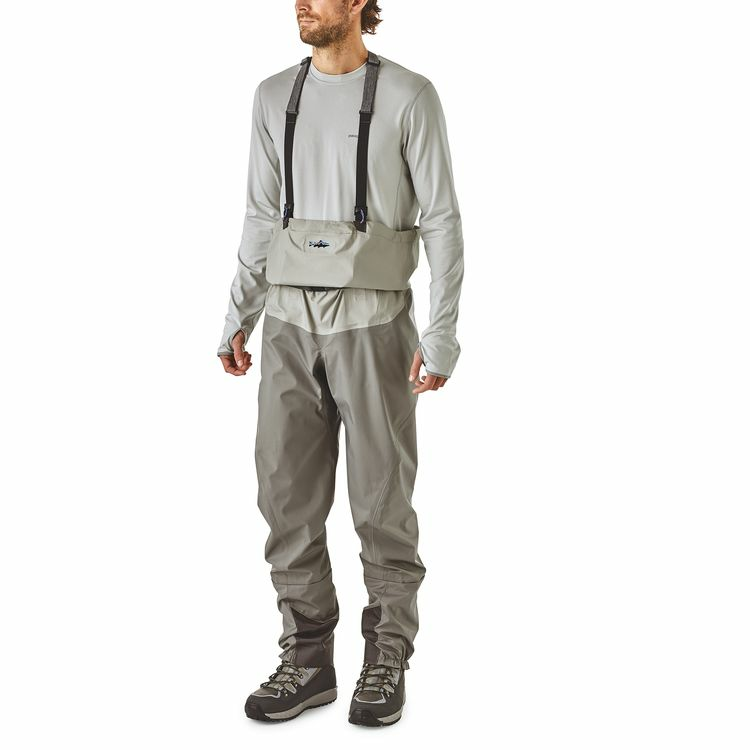 A TPU welded waterproof pocket keeps your phone and other personal items dry, and the drop-down suspension system allows you to wear these waders at both chest and waist level. 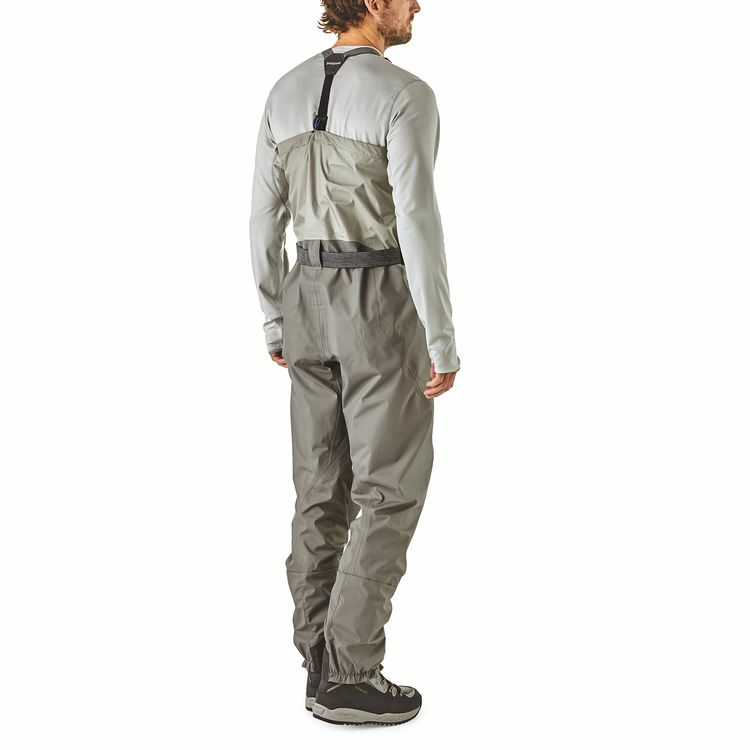 These waders are game-changers in the realm of fly fishing travel.